I dare say a fair few of us will sit down this evening with a nice glass of wine…a French Cabernet Sauvignon perhaps, a Chilean Pinot Noir or a zingy Sauvignon Blanc from the Marlborough region of New Zealand…and the chances are that when we picked up the bottle we knew exactly the flavour profile we could expect of the wine we had selected based on the variety of grapes and the region in which they were grown. But how many of us know what to expect when we pick up a bar of chocolate? Well the chocolate industry is on the move and has been for some years now, bringing to the forefront the kind of information and education that has transformed our appreciation of wine over the last couple of decades. We seldom think of chocolate in terms of the crop that is grown and harvested, but cocoa beans, just like grapes, display characteristic flavour profiles depending on the variety and the “terroir” in which they are grown. 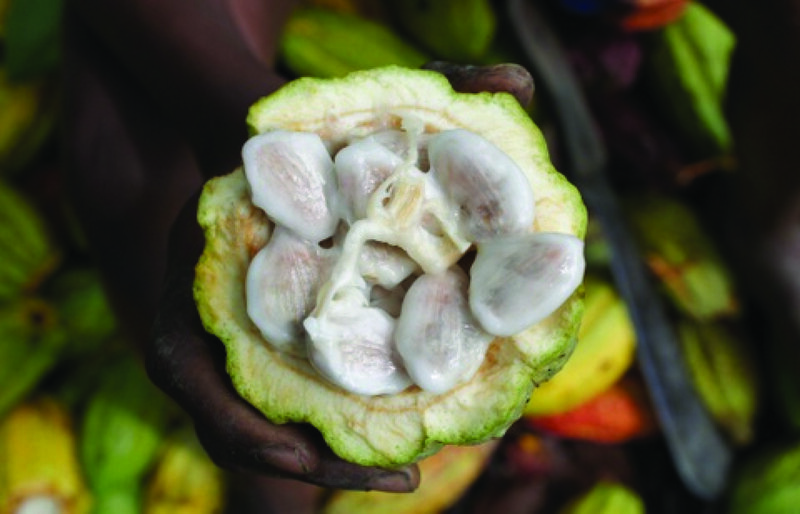 It would take more than a blog post to cover all the complexities of the different varieties, and indeed there are many books devoted entirely to the subject, but there are three main varieties of cocoa used in the production of chocolate. The finest and rarest are the Criollos, the Foresteros are considered the bean of the “bulk” trade, being high yielding and more disease resistant and the Trinitarios are a hybrid of the two, displaying some of the advantages of the Forestero with fine flavours characteristic of Criollos. It is worth pointing out that even the finest Criollos will only realise their full potential when processed with skill and care, just as a masterful chocolate maker can coax a world of delight from a somewhat less salubrious bean! I realise that you have a glass of wine waiting for you, so I’ll skip over the fine detail and tell you more about my particular favourite “origin” – that of Madagascar. Madagascar is a fascinating island, unique and surprising, richly diverse and yet achingly poor. One company has been quietly working away, enhancing the lives of the local people by bringing one of their most precious exports to the attention of the world. 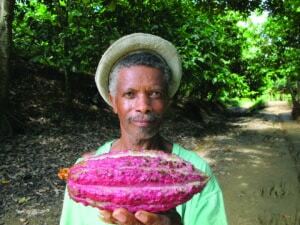 Chocolat Madagascar have been making the finest origin couverture since 1940. Their pure Madagascan origin chocolate is rich and smooth with delicate flavours and aromas of forest fruits typical of the origin. Importantly, this chocolate is made from the bean in Madagascar rather than the beans being exported to Europe for manufacturing. This means that the skill and the associated profit of creating the final article remain in the local economy giving the Malagasy people a much better deal than fairtrade bean export could ever do. This is what is known as RAISETRADE and is the fairest and most ethical way to trade in chocolate. I have always loved the fruity delicacy of Madagascan origin chocolate, and in Chocolat Madagascar I’ve found the perfect partner for Lick the Spoon. We now use their cocoa mass for all our house blend dark chocolate and look forward to working more closely with them in the future. Experience the character of this delicious chocolate to full effect in our house Dark Truffle… rich, smooth and decadent in it’s simplicity. This entry was posted in Blog, Chocolate Information. Bookmark the permalink.